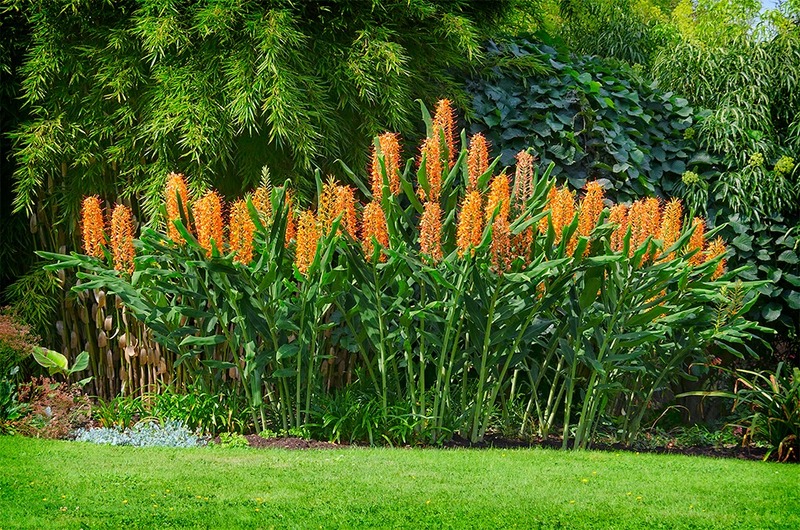 The hardy ginger lily - Hedychium gardnerianum is a gorgeous, exotic flowering plant that despite its tropical origins is tough enough to tolerate the cooler climates of temperate Europe. So robust is it that it can even be overwintered outside in the southern counties of England! 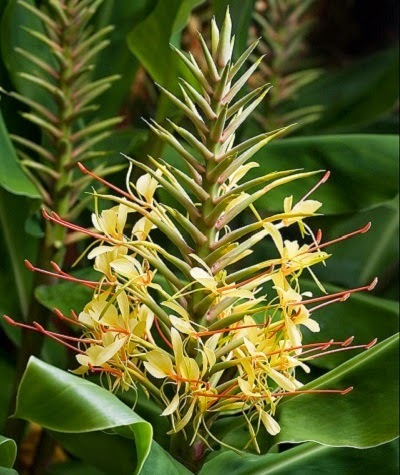 Unfortunately pot grown ginger lilies are in short supply in the United Kingdom but if you are determined to obtain a few specimens for your collection then you can always grow them from seed. Whether collected yourself or shop bought, sow ginger lily seeds as soon as possible to achieve the very highest germination rates. Using a large modular seed tray fill with a good quality compost such as John Innes 'Seeds and Cutting'. Gently water in and then allow the excess to drain away. Sow the ginger lily seeds onto the surface of the compost at a rate of one seed per module and then give a very light covering of vermiculite. Do not bury the seed as it requires the presence of light to help initiate germination. Place the modular tray inside a propagator and maintain a temperature of between 20-25 Celsius. If a propagator is not available the seal the tray inside a clear polythene bag. Move the tray to warm bright conditions but out of direct sunlight to reduce overheating and scorching the emerging seedlings. You can expect germination to occur within 21-60 days. During this period keep the surface of the compost moist but not waterlogged. Once the seedlings have emerged remove the modular tray from the propagator or polythene bag but keep them under warm, bright conditions. When the roots have established in the modules carefully pop them out and transplant them into 3 inch pots containing a good quality potting compost such as John Innes 'No 2 or 3'. Do not disturb the root balls. Growth them on for a few more weeks and then gradually acclimatise to outdoor conditions for 10-15 days before planting out after all risk of frost has passed. Plant them 24 inches apart in a rich, moist, well-drained soil in full sun or partial shade and with protection from cold winds. Alternatively plant them up in to large containers.